Get a handle on Thanksgiving with these smart strategies. 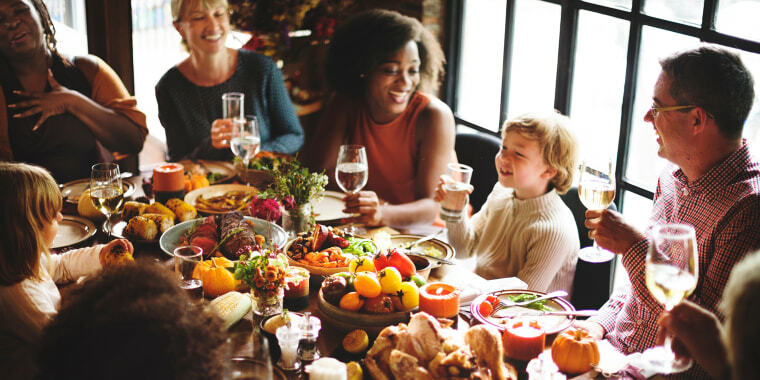 Many holidays have distractions like gift giving and egg hunts but Thanksgiving, one of the year's biggest days for food, is all about sitting down at a large table and eating. With food as its centerpiece, it’s difficult not to become completely consumed — aka totally stressed out — with getting every aspect of the meal just right. In fact, for perfectionists, the holiday provides a veritable cornucopia of opportunities to optimize everything from the tablescape to the turkey. There are plenty of other reasons why Thanksgiving creates anxiety in otherwise reasonable people. It usually requires cooking a very large bird for several hours. The meal often includes multiple courses, starting with appetizers and moving through soup, salad, sides, turkey and plenty of desserts like pie. Without practice, the kitchen choreography that’s required to pull off a Thanksgiving meal can leave people in a state of panic. Why else would there be hotlines set up to help people get through their turkey tantrums? Do yourself a favor, and do less. I figured it out the hard way years ago when I attempted to make everything from scratch. I spent countless hours and obscene amounts of money sourcing what I thought were the right ingredients, only to have the golden bird that I’d worked so hard on snatched off the table by my dog. Since then, I have tried to take a more reasonable approach to the big day. Hopefully, these hacks will help any host get everything cooked and on the table — and give hosts time to kick back, give thanks and actually enjoy the day with family and friends. 1. Carve out some "me time" before carving the turkey. I’m not saying you should schedule a massage, but it really is wise to get at least 45 minutes to an hour to yourself. My way of doing it is to sign up for the Turkey Trot at our local park. I’m done by 10 a.m. and I return home with a sense of calm and the ability to be level-headed for the rest of the day. If the feast is going to be early in the day, make time for a power walk in the afternoon or to "run an errand." No one questions the host. 2. Don’t cook a whole turkey. If there will be fewer than eight people at the table, a turkey breast is the way to go. Each person will eat about a half pound of turkey, so a 4- to 6-pound breast is plenty. This way, the host won’t spend the whole day cooking the turkey. Instead, it will only take about 40 minutes to an hour to cook, if it's a fresh turkey. People who want to cook a whole bird (leftovers are yummy), should go with a smaller one. Smaller birds are easier to keep moist than big ones. Here's a cheat sheet for figuring out how long it will take to cook a bird: If it came frozen and it's been defrosted, it will take 20 minutes per pound to cook. That is approximately 3 hours and 33 minutes for a 10-pound turkey. For fresh birds, it only takes 10 to 15 minutes per pound. Either way, it's important to use a meat thermometer. Insert it in the thickest part of the bird or breast, to reach 165 degrees. Then, the turkey should get a well-deserved rest for 20 to 30 minutes. This will allow the juices to redistribute throughout the meat before the bird is carved. 3. Make frozen rolls instead of scratch. A lot of folks save up their carb points for Thanksgiving. Fresh rolls are definitely one of the things they look forward to eating. That’s great, but the dough doesn’t need to be homemade. Besides taking extra time, it takes up precious counter space while it rises. Plenty of companies, from Williams-Sonoma to Pillsbury, make delicious rolls that come frozen or refrigerated. They just need a little time in the oven to reach golden perfection. Personally, I’m a fan of Orwashers’ frozen Artisan Ale Rolls. Just before the meal, I like to bake them up in the toaster oven. 4. Making a pie? Don't wait, do it now. 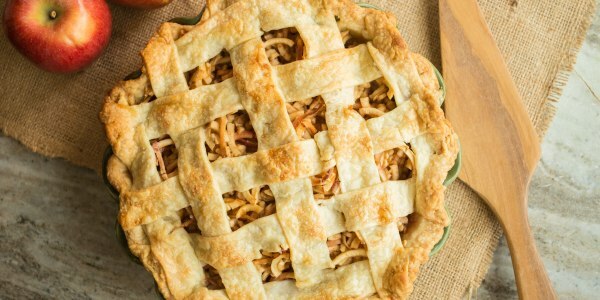 Most pies actually freeze really well, so spend time this weekend getting them out of the way. Fruit pies, like apple pie, can be assembled ahead of time. Wrap each unbaked pie in plastic one time. Then, wrap it in foil twice before placing it in the freezer. On Thanksgiving, there's no need to thaw the pie. Simple put it into the oven. The pie may take just a bit longer to fully cook, so keep an eye on it. For a pumpkin pie or sweet potato pie, bake the pie crust and store the filling separately. On Thanksgiving, or the day before, put them together and bake. 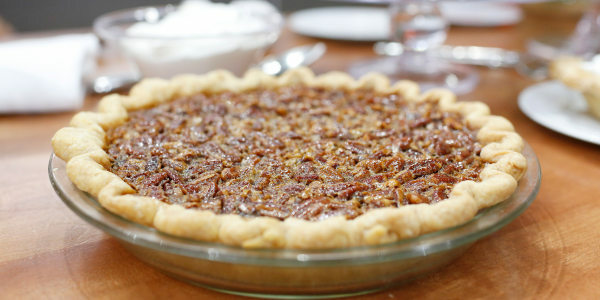 Making pecan pie? It's best to make and bake the whole pie in advance, then freeze it and defrost it on Wednesday night in the fridge. To give it a fresh-from-the-oven taste, pop it in the oven or toaster oven to warm it up at 225 degrees for about 20 minutes. 5. Make as much as possible in advance. Write down the entire menu or make a spreadsheet. Include the stuff that other people are bringing (see No. 7). Then, take a close look at all the components and figure out what can be done two to three days ahead. 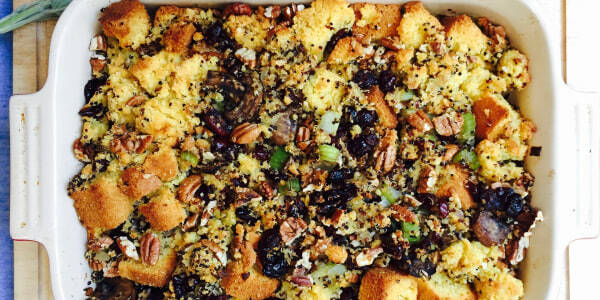 For example, for a cornbread stuffing, like my Quinoa, Cornbread and Cranberry Stuffing recipe, many ingredients can be prepped ahead of time. Bake cornbread, toast the nuts, cook the quinoa and chop the onion and celery.Many recipes can also be broken down like this. Getting up a little earlier in the morning to prep on the days leading up to Thanksgiving can help a host avoid a night of no sleep the day before, too. Also, locate and clean all of the platters and serving dishes that will be needed for the meal. Definitely get the family involved in helping you wash any items that are needed. There's nothing like pulling out the turkey platter minutes before it's needed, and finding that it’s covered in dust! 6. Keep Thanksgiving appetizers simple and light. 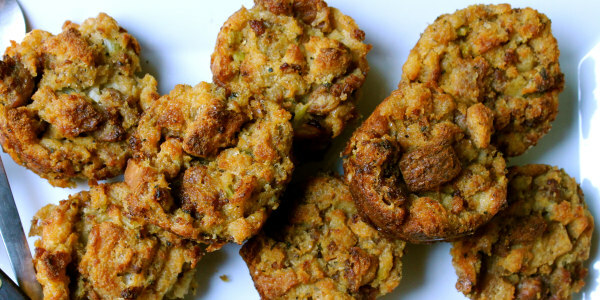 Pre-Thanksgiving snacks have a tough role to play. They are generally necessary as a buffer for the host, who is likely still doing final prep when guests arrive. But they shouldn’t create more work or be too filling. Here’s a good assortment that should keep folks happy: a bowl of washed grapes, a cheese board with one hard and one soft cheese, crackers, fig jam, mixed nuts, pitted olives and a platter of fresh vegetables (cherry tomatoes, carrots, celery, radishes and cucumber). Oh, and wine and beer for the grownups. It can be tough to ask guests for help, especially when they’re not forthcoming with offering it. But they’ll appreciate that they’re contributing and actually bring something that's needed. Assign someone to the wine, salad, bread and other simple things. It’s always great to have an extra pie, plus ice cream to go with it. Ask a close friend or relative to help with dishes in advance, that way they won’t feel roped in at the last minute. 8. 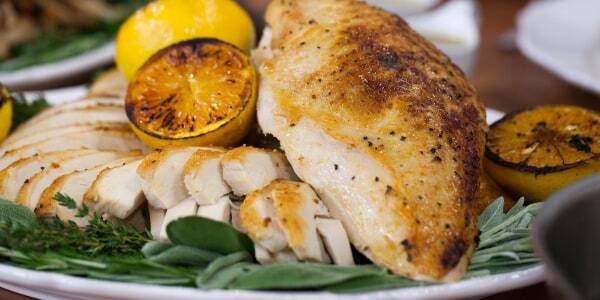 Serve dishes that taste great at room temperature, instead of just piping hot. It’s next to impossible to have everything come out of the oven at the exact same time. Roasted vegetables and grain dishes are more forgiving than mashed potatoes and candied yams. 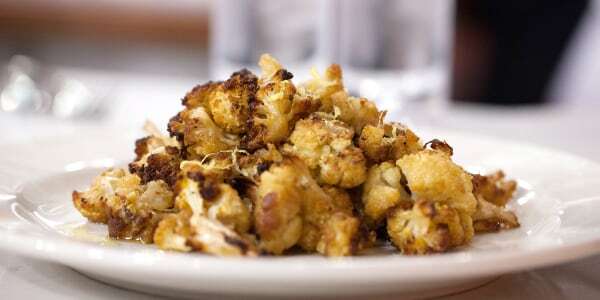 For example, this Lemon-Maple Cauliflower tastes just as good at room temperature as it does right out of the oven. 9. Designate a kids table. Not everyone loves being seated next to little ones. Creating a separate space for kids is totally fun, makes them feel special and is super easy. Cover the table with butcher paper. Then, put out crayons and some easy crafts that they can work on while the grownups are chatting over the first glass of wine. If the kids table looks cool, they won’t mind sitting away from the grown-ups. Definitely use plastic or melamine plates and glasses. If spills, which are inevitable, can wait until after the turkey is served, let them. 10. Keep decorations small and simple. I remember ordering a gorgeous and expensive centerpiece one Thanksgiving, only to realize that my guests would not be able to see each other once it was placed in the middle of the table. Keep any table decor cheap and cheerful. Use small pumpkins or gourds on each person’s plate. Add a name tag, if there’s time. Or scatter felt or paper leaves over the table. Candles are nice if they’re low, unscented and drip-free. Happy prepping and here’s to a wonderfully delicious Thanksgiving! Just remember to breathe — and keep the dog away from the turkey.